Seattle-based surf-tinged poppy punk outfit Tacocat fell onto our radar in 2014, with the release of their criminally underrated sophomore album NVM, and subsequent tour that brought them to The Stone Fox. Much to our delight, the buzzworthy up and comers have just announced plans to release a new album, Lost Time, April 1 via Hardly Art, and will return to the Fox April 21 in support. 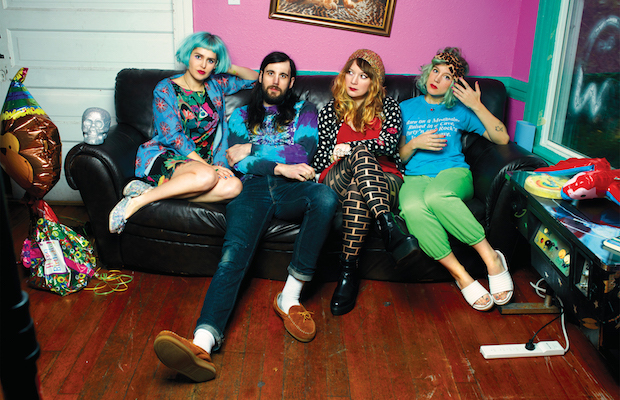 Along with album news came the premiere of a new single, “I Hate the Weekend,” which, in classic Tacocat fashion, fuses relatable lyrics with breezy hooks and singalong-ready harmonies. Give what is easily one of our favorite songs of the year so far a spin below, and grab tickets to the show for just $10 right here!